I thought I would mention a few words before I list all my offerings available for this barter market. 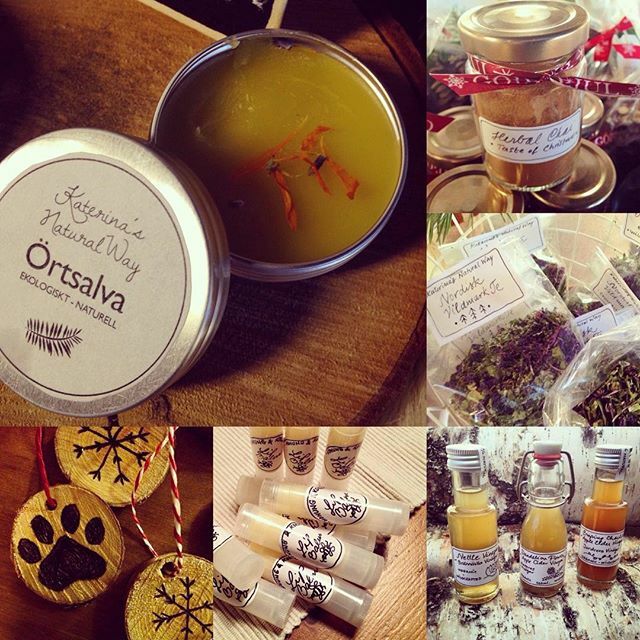 Please note, that I create my herbal remedies and other offerings in small batches, in vast majority from herbs and other gifts of Mother Nature, that I wild craft myself, or that are grown organically by my parents. That means that while I have decided to offer so many for barter, the amounts I can provide are limited. Contact me what you are interested in, and I will let you know if it is available. I create these offerings to help people re-connect with the healing powers and medicine that Mother Earth provides for us, and that we, as a human kind, have lost a lot of connection with. I create these offerings to show what I call the natural way in nourishing and healing for all (animals and people). Last but not least, I create these offerings to help provide for my family and my beloved huskies (who are my four legged family), as we live on a remote settlement of northern Sweden, 25 miles from the nearest “civilization”, and pursue our dream of living a sustainable and self-sufficient life, a simple, yet happy life, in deep connection to Nature and Mother Earth and respect to all living creatures. By purchasing or bartering you will greatly help me to follow this path. Thank You! Some of these items are not listed on my shop at the moment, but are available for barter if anyone is interested in them. If you find a specific item in the shop that calls out to you or that you need for healing/as medicine for yourself or your animal, but do not find it on this “available for barter” list, email me at info@katerinasnaturalway.com and we can discuss options. OR just click on the "SHOP" link in the menu under the blog logo. I am excited to see what your beautiful offerings are and to meet many new and get to know better some of my fellow hand-crafters, herbalists, makers, healers, nature lovers and other kindered spirits from the Old Continent!